Our PinnacleCart review (2019 update) will help you make up your mind whether or not you should buy ecommerce software from PinnacleCart. PinnacleCart is a leading hosted ecommerce software platform that provides a robust all-inclusive online store builder that allows you to custom design an online store, manage product catalogs, create marketing campaigns, collect web analytics and so much more. PinnacleCart also caters for international customers since it supports multiple languages and currencies. They offer free migration from over 40 different shopping carts, as well as design and SEO services. Try Pinnacle for free for 14 days, no fees and no credit card is required. PinnacleCart’s cheapest ecommerce software plan is 19.99 per month. PinnacleCart is an ecommerce software platform created by a group of web developers who have in total over 20 years of experience in the industry. Since Pinnacle’s establishment in 2003, the company has carved a niche for itself in the hosted ecommerce and shopping cart software scene. In fact, this ecommerce software has helped to create unique storefronts for many high profile clients such as Schuremed, QBG Brands, International Health, UFC, NBA, HBO, A&E, Discovery Channel, among many other notable companies. Try Pinnacle Cart. Free trial. Founded by Craig Fox in 2003. PinnaclCart is an online shopping cart created by a group of web developers who have in total over 20 years of experience in the industry. That being said, this app doesn’t just assist customers in the checkout process. Since Pinnacle’s establishment in 2004, the company has carved a niche for itself in the shopping cart scene. In fact, this e-commerce software has helped to create unique storefronts for many high profile clients such as Shuremed, QBG Brands, International Health, UFC, NBA, HBO, A&E, Discovery Chanel, among many other notable companies. There are several e-commerce solutions on the market, and the search for the right one can be daunting. Pinnacle Cart offers several of the most essential features. But with all the numerous e-commerce platforms on the market today, what makes PinnacleCart truly stand out? Read on to get a better understanding of what this software has in store for online merchants. Let’s drill down into the details, first with a closer look at add-ons that can be used to add functionality to your store. This cloud-based service ensures that all your sales taxes are up-to-date. MailChimp opens up your online store to the possibilities of newsletter and email marketing. Do you want to easily track packages, run postage reports, take advantage of discounts on delivery confirmation or print live postage with integrated mailing? Endicia is an e-commerce shipping solution that facilitates all these functions on a Pinnacle cart powered web shop. With this free add-on, you can collect social analytics, track ROI, generate reports and share data at the click of a button. Keep in mind many other compatible add-ons for this platform exist. In fact, the possibilities to expand web shop functionality with PinnacleCart is perhaps only limited by the scope of your business operations. SSL (Secure Sockets Layer) is the technology used to secure the connection between the server and the web browser. It protects communication between your customer and your site, to keep their private information away from online criminals. It’s a must for e-commerce stores but recommended for all sites. All PinnacleCart stores come with SSL certificates. FirstData is the preferred payment gateway for Pinnacle. 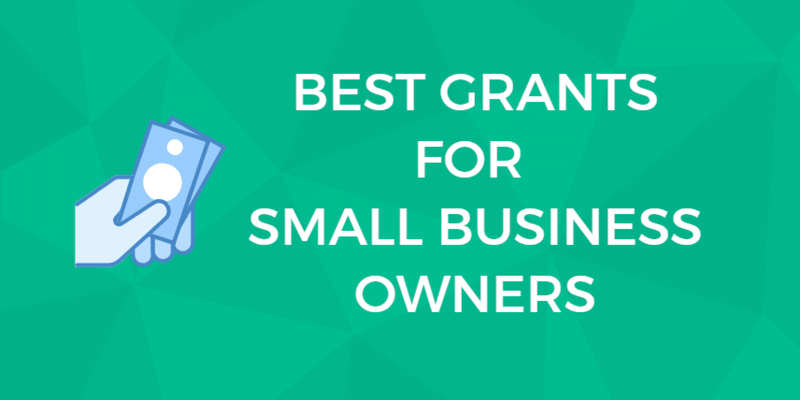 Should you choose to set up FirstData as one of the payment options on your Pinnacle webshop, you can take advantage of the free Small Biz plan that guarantees low merchant rates over a period of 4 months. However, your options are not just limited to FirstData because Pinnacle supports dozens of other payment processors. In addition to credit and debit cards, you can also accept e-wallet payments after deploying this e-commerce platform. Secure checkout is one of the important aspects of a trustworthy online store. Pinnacle understands this and that’s why they provide the ability to make the payment page or your entire checkout process secure. This is one of the few shopping cart applications to be both PA-DSS (Payment Application Data Security Standard) and PCI (Payment Card Industry) certified. All vendors who process credit cards must be PA-DSS compliant. These standards include a set of criteria businesses must meet, including updating anti-virus software and restricting access to their customer’s credit card data. With a PinnacleCart storefront, you have the choice of setting up recurring billing accounts for customers or providing multiple languages and currency selections. These functions allow you to run a subscription-based online business or sell your product/service to international customers. One of the great aspects about using Pinnacle cart to design an online store is that you don’t need programming experience. Creating your unique storefront with this app starts with choosing a unique website template. There are dozens of themes on the Pinnacle web store to choose from, both free and paid versions. These W3C, XHTML templates, as well as CSS/XHTML tableless designs offer automatic mobile optimization. You can create beautiful storefronts with features such as photo galleries, image magnify, zoom, and lightbox. Using the drag and drop features in “design mode”, basic changes are easy to make even without the help of a web designer. Pinnacle comes with a content management system (CMS) for creating information pages and managing SEO attributes. You can use an existing WordPress site and add PinnacleCart to it. You can use a PinnacleCart theme and add a blog by using the “Pages” feature in the admin panel. Although Pinnacle Cart does lack a built-in editor for modifying raw website files, you can make changes to HTML and CSS files via your browser. The company also provides their own premium web design services. Design fees vary depending on the size or desired features of your online store. However, premium web design plans from Pinnacle can range from $2100 to $5200. PinnacleCart offers various marketing tools designed to enable you to promote your e-commerce store. You can easily translate your storefront right onto your Facebook page, allowing customers to share products or transition seamlessly from social browsing to online shopping. Sell on Twitter and Google+ too. What Can I Do with PinnacleCart Marketing? To experiment, you can try QR codes for free. With the help of add-ons, you can easily export your products to Amazon, eBay, Google Merchant, Yahoo Shopping, Shop Zilla, among other online selling websites. Some of the other interesting marketing features that Pinnacle offers include the ability to create newsletters, send emails on product updates, launch Hot Deal promotions, live chat with customers, design widgets for online advertising, and generate automatic email reminders to customers who have abandoned their carts. Pinnacle Cart’s team can help you with marketing your online store. By improving your search engine optimization (SEO), you can make sure your site ranks in search engine results so you’re visible to potential customers. Managing a digital marketing campaign can take some time, and you’d need to complete research, including keyword research. At the start, it might be a good idea to outsource this function to the experts. Whether you want to sell subscription services, digital products or tangible goods, Pinnacle allows online merchants to set up any kind of web shop. Downloadable products remain hidden on a “ghost” URL, which customers receive via email only after completing payments. When dealing with physical goods, you can sort products based on price, SKU numbers, manufacturer, categories, or features. Product management functions in the admin panel also give full control over stock levels. There’s even a function to configure notifications, which let you know when inventory runs low. In case you’re moving from a previous shopping cart provider, you can easily import your product catalog into Pinnacle via a CSV file. A CSV (Comma Separated File) or a comma delimited file is a file where each value is separated by a comma. It makes it easier for data programs like Excel to read the file. If you have data stored in Microsoft Excel, all you have to do is save the file as a CSV file before importing into PinnacleCart. If you don’t want to manage inventory, PinnacleCart offers free Doba integration. Doba is a drop-shipping platform. When you sign up you get access to hundreds of wholesalers’ products. You don’t have to store inventory or ship the product. The customer orders the product from your website, and the supplier takes care of the logistics. PinnacleCart is known for their reliable help and support. Their official company website offers a wealth of information through searchable Knowledge Base articles and training videos. If you need to talk to a customer service agent, simply contact the support team via phone, live chat, or email. In addition, new users receive regular emails on how to use the different features of their e-commerce application after signing up. 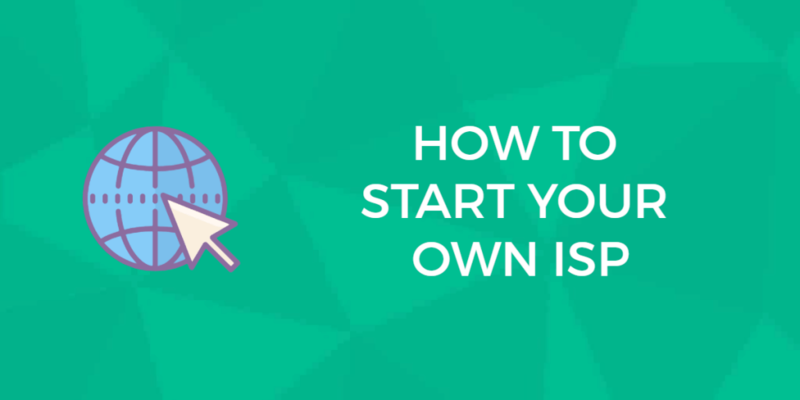 Customers can also access the Quick Start guide, to help you establish your store easily. Pinnacle Cart appears to update this guide regularly. How Does PinnacleCart Compare to Magento Enterprise? Magento Enterprise is one of the most popular e-commerce platforms. Both Magento Enterprise and Pinnacle Cart keep your customer’s credit card data safe by being PA-DSS compliant. To reduce cart abandonment, Magento Enterprise and Pinnacle Cart will send emails to customers who have abandoned their carts. However, Pinnacle Cart offers many features Magento Enterprise does not, including easier to use tools and a free trial. Is Pinnacle Cart a good ecommerce software? As an online merchant, you need to be fully aware of the pros and cons of any e-commerce solution that you’re interested in using. Pinnacle Cart has plenty of strong points, but it’s not without its downsides. The following is a list of the strengths and drawbacks that you should expect. Pinnacle scores high marks in the support department. Multiple reviewers have gone on record praising the responsive and friendly customer service that the company offers. The security features built into Pinnacle Cart are quite high since this company is PA-DSS and PCI certified. With Pinnacle Cart, online merchants get to take advantage of a wide range of third-party integrations and marketing features. Setting up a Pinnacle store is easy even for non-programmers. This can be attributed to the helpful setup wizard and intuitive web design editor that comes as part of the software. With no HTML or CSS editor, customizing your Pinnacle web store will only be possible to a certain extent. When compared to shopping cart applications such as BigCommerce and 3D Cart, Pinnacle does not integrate with as many payment gateways or offer as many themes. Even though this e-commerce app has several disadvantages, it’s still a good shopping cart for online merchants that need a simple to use platform for managing their web shops. This shopping cart is highly recommended for businesses that cater to international customers since it supports multiple languages and currencies. Here are a few commonly asked questions with answers. Do I Need To Own A Website To Use PinnacleCart? No, PinnacleCart is not only shopping cart software, it also works as entire website builder tool that can create your online store. Do I Need Coding Or Programming Skills/Knowledge? No. You can create your own complete store without knowing any HTML. You can easily design a professional looking website just from the administrative panel. The platform also allows you to control each aspect of your cart’s design such as overall layout, design, colors, headers, buttons and other features. If you still require assistance, you can try out the pre-defined templates or contact the company for more guidance and direction. Do I Need A Merchant Account To Accept Credit Cards Through My Store? No, PinnacleCart allows you use PayPal as your payment process, which is a payment platform that does not come with any monthly charges (they just take a tiny percentage of the sales as their transaction fee). However, only using PayPal entails that the potential customer will be redirected off your store to PayPal’s platform. If you seek a low-cost alternative to standard PayPal, consider PayPal Payments Pro as a great option which facilitates the customer staying on your store for the entire payment process. Should you require a merchant account, PinnacleCart provides you with a payment gateway and merchant account via a trusted partner: Chase. Does PinnacleCart Charge Fees for Each Transaction? No, they do not charge any transaction fees or come with any other hidden fees. Yes, PinnacleCart supports a wide range of different currencies and languages. The process is handled via the “Localization” setting in the admin tab of your cart. What Is The Limit For Total Number Of Products Or Categories? PinnacleCart has no product or category restrictions. Add as many products as you want to! Yes. An extra bonus is that it will also notify you when your inventory is running low. In addition, you can also set custom messages to show when items are out of stock. Pinnacle offers a range of plans suitable for all online store types and sizes. All plans come with free Doba integration, free shopping cart migration from your existing vendor plus all plans have zero transaction fees For latest and most up to date prices visit PinnacleCart’s website. We monitor tweets about PinnacleCart and apply sentiment analysis to classify tweets as positive or negative. This allows us to output an approval rating score, which is based on real people, positive and negative, opinions about PinnacleCart on Twitter. PinnacleCart approval rating score is 75%. This is based on a total of 4 tweets that mention PinnacleCart on Twitter. There are 3 mentions that share a positive sentiment and 1 mentions that express a negative sentiment. Find out more about how it works. Thanks @pinnaclecart for the quick response. For some reason, I do not see the option under payment methods. Thanks @pinnaclecart for the solution. That's really helpful. I have version- Version 3.7.12 R.3; I will search to update the version. Try PinnacleCart. 14-day free trial. No credit card required. You are here: Home > E-Commerce Solutions: Which Is Best For Your E-Commerce Business In 2019? > PinnacleCart Review: They Boast Big Name Clients, but Is It a Good Choice for You? Previous: MoonFruit Review: A Site Builder with E-Commerce Features, but Is It Easy Enough for You? Next: Fortune3 Review: Right Site Builder for Your Small Business?